Joseph is a highly regarded Australian watercolour artist who has the ability to create a magical atmosphere and mood in his paintings. 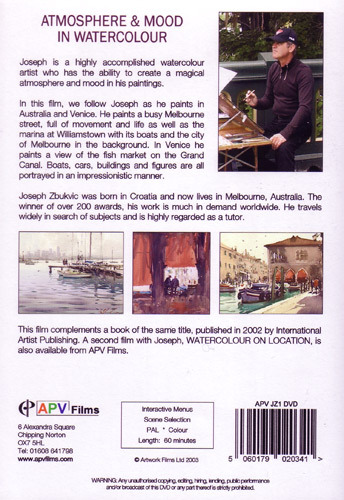 In this film we follow him as he paints in Australia and Venice. 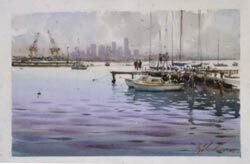 He paints a busy Melbourne street full of movement and life as well as the marina at Williamstown with its boats and the city of Melbourne in the background. In Venice he paints a view of the fish market on the Grand Canal. 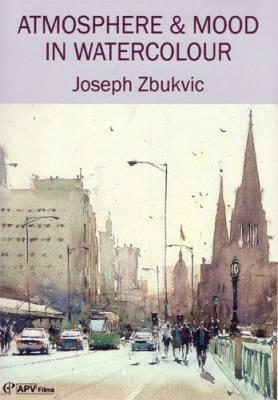 Boats, cars, buildings and figures are all portrayed in an impressionistic manner. Joseph Zbukvic was born in Croatia and now lives in Melbourne, Australia. The winner of over 200 awards, his work is much in demand worldwide. He travels widely in search of subjects and is highly regarded as a tutor. NEW - Joseph Zbukvic Escoda Perla Signature Brush Collection and Escoda Aquario Squirrel Hair Signature Brush Collection now available.